The speed of the world’s energy transition has had a huge impact with far-reaching consequences, despite its many challenges. This transition has already allowed the opening up of markets in many countries to adapt to the changing energy industry. Nonetheless, this transformation’s key issue is how oil companies or oil exporting countries can still be relevant and competitive in this increasingly challenging environment. To survive this dynamic environment, it has become essential to build an integrated portfolio, which requires the gradual extension of conventional business modeling. There is too big a risk of major failure in simply moving core businesses in a conventional resource setting; nonetheless, a "wait and see” strategy is also dubious. Consequently, an optimized portfolio with enough flexibility to evolve and adapt to new and rapid developments in the energy industry is recommended. A well-diversified economy goes hand in hand with a successful energy transformation, and likewise, a balanced investment portfolio of both hydrocarbons and renewables is advisable in the short to medium term to ensure success. However, the speed of the global energy transformation in the long term adds more uncertainties to the already complex transition that requires comprehensive adaptation strategies. In the past, energy transition occurred more organically without much policy support from governments, whereas the current energy transition is strongly government driven. This has been born out through coordination from governmental initiatives and globally induced action such as the Paris Climate Agreement that aims at reducing air pollution and the decarbonization of the transportation sector. As a result, oil exporting companies and countries face dilemmas in choosing their strategy. The perplexing decision many policymakers are likely to face is with the timing of their investment decisions. If an adaptation strategy is taken too early, it could end with asset write-offs limiting future options because of squeezed capital. If decisions are taken too slowly, it could result in a loss of a window of opportunity in the ever-increasing competitive environment worldwide. Conventional wisdom reveals a conflict between investing in renewables and in the hydrocarbon sector, and this can be particularly applicable to countries that are heavily dependent on oil and gas exportation. However, with the steep cost decline in solar and wind production in recent years, it is no longer too costly to invest in renewable energy and it has even become a viable option for oil exporting countries and oil companies alike. The market liberation brought about by alternative energy investments should increase the resilience of oil-based economies that are very prone to oil price cycles. Investment in renewables would thereforepave the way for a short-term economic boost given the more affordable investment environment without conflicting with the oil and gas industry. The International Renewable Energy report published in 2018 concludes that the cost of renewable energy globally is in decline. In 2013, wind and solar energy cost $0.11 and $0.17 per kilowatt-hour, respectively, and in 2018, this dropped to as low as $0.05 and $0.06 per kilowatt-hour, including the capital cost of construction. The decline in renewable costs suggests that wind and solar islikely to emerge even stronger as globally competitive energy sources in the years to come when technology developments can alleviate the intermittency issues with these power sources. 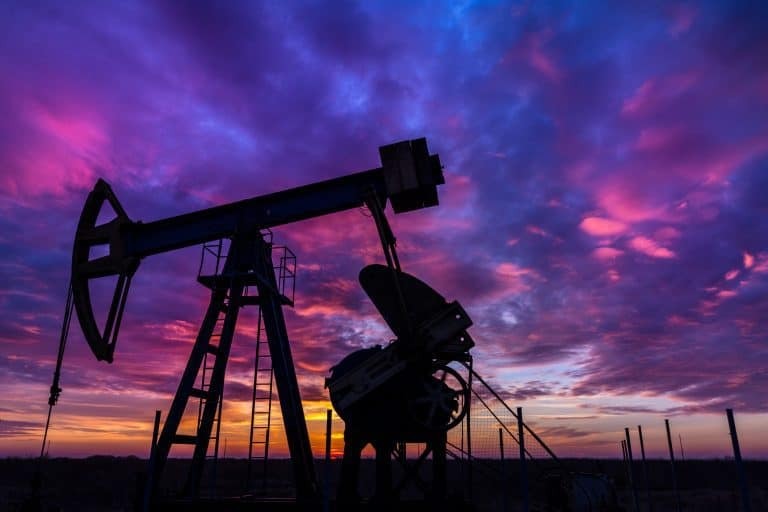 To avoid price shocks with oil price spikes and their knock-on effects, and to unlock the potential benefits of alternative investments, economic diversification is the best available option in transitioning away from heavily oil-based economies. In the long term, a diversified economy can help oil export-dependent countries shield from the effects of the inevitable energy transition. With any change, the transition is set to cause disruptions, but diversification will help lift the burden of the diminishing hydrocarbon industry and boost resiliency against unexpected anomalies. If oil companies and oil exporting countries fail to address this energy transition, it will likely erode their revenue base. This global energy transition will likely change the patterns of energy consumption, putting further pressure on oil exporting countries by inducing uncertainty over long-term oil demand. Change is afoot and it is impossible to predict what a future energy diversification portfolio will look. Nonetheless, oil-exporting countries need to get on board with the new reality, which could see conventional resources downgraded to a fraction of what they were. * The Writer holds an MSc in Eurasian Political Economy & Energy from King’s College London and also an MA in European Studies from Sabancı University.